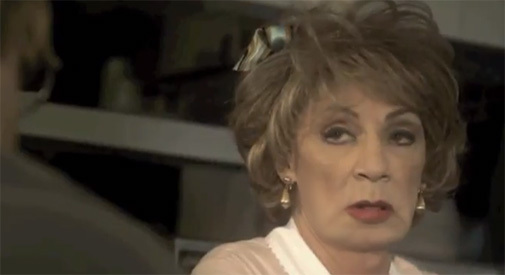 Sadly, Holly Woodlawn died during the afternoon of December 6, 2015 at an assisted-living facility after undergoing treatment for cancer of the lungs and brain. Her obituary is here. She had previously been in hospital in January 2004 when she was admitted to intensive care after complications from an operation on her arm and shoulder which she broke during a fall. U.S. newspapers incorrectly reported that she was in a coma. 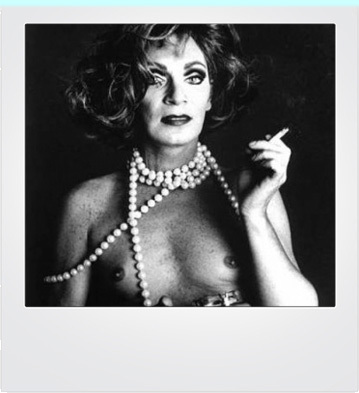 She recovered from the fall and continued to perform and appear on Warhol panels. In 2007 she appeared at the Drill Hall in London in conjunction with an exhibition of paintings of her by Sadie Lee. In 2008 she participated in a panel discussion of "Warhol's superstars" at the South Bank Centre in London with Bibbe Hansen and Mary Woronov (hosted by myself) in conjunction with the Hayward Gallery's "Andy Warhol: Other Voices Other Rooms" exhibition. In 2010 she appeared at the GLBT Film Festival in Torino, Italy. In 2011 she made a brief appearance in the film, The Lie, directed by Joshua Leonard. In 2014 she briefly appeared in the TV series Transparent which also featured Viva's daughter, Gaby Hoffman, in the cast. It's unknown whether the film will be finished due to complications surrounding the legal status of the use of her name and her image. Holly is survived by a large group of relatives in Puerto Rico (where she was born) and many die-hard fans internationally, myself included. Although she will always be associated with New York, she actually lived in Los Angeles for more than two decades prior to her death. Although she has a commemorative stone at the Hollywood Forever cemetery in Hollywood, it's unclear where her ashes actually are - buried with her mother in Puerto Rico (as she reportedly requested in her will) or behind the stone at Hollywood Forever.